Set to be shown at the North American International Auto Show, the XT6 is a three row crossover that will slot in between the smaller XT5 and larger Escalade. It sports a unique design as it wears an Escala-inspired grille which is flanked by standard LED headlights. Designers also installed in vertical LED daytime running lights and numerous “bright galvano” accents. its sad to see Cadillac phone it in like this! It’s pretty bland and generic, uses the same interior as the XT5, no powertrain upgrades...I think the 2020 Explorer Platinum even surpasses this by far. falcon lover, pffan1990, ewf and 1 others like this. This is a mix of Hyundai Santa Fe, Kia and Honda Pilot. Regarding the design.....I need a minute. Maybe much more. I agree that the XT6 was phoned in and the Lincoln Aviator is superior in every way....however, Caddy still has a good reputation and Lincoln is still building their's back up (and doing a fantastic job! ), I wouldn't be surprised that the XT6 outsells the Aviator based on past reputation alone. however, Caddy still has a good reputation and Lincoln is still building their's back up (and doing a fantastic job! ), I wouldn't be surprised that the XT6 outsells the Aviator based on past reputation alone. The problem is that we keep saying that! Caddy has a good reputation and that is the explanation for everything, and in part it is true, but Lincoln's reinvention started in 2013, 6 years ago, it's been a while. They now have good products, it's time for some marketing strategy. As far as I remember, Cadillac didn't take that much time to have a good reputation. The XT4 is already outselling the MKC, the Slade outsells the Navi (and best Lincoln so far) and I'm not even talking about the XT5 and MKX/Nautilus. I think that there is not enough effort, it feels like Ford doesn't really care, or know how to manage a luxury brand or anything else aside from the Mustang, F150 and Explorer. It doesn't matter what we automotive enthusiasts know. Most of these crossovers will be sold to non-enthusiasts and to most of them the Cadillac name remains more prestigious than Lincoln. I will not be at all surprised to see the XT6 outsell the Aviator. In theory though, if Lincoln continues to deliver superior products like the Navigator and Aviator a shift in perception, and hopefully sales will follow. As for the XT6 itself, to my eyes it looks like the Volvo XC90 with Cadillac details. I don't hate it, but neither do I love it. There is nothing about this that would have me considering it over an Explorer Platinum, much less the Aviator. Stil, it's going to sell well. Soooo, are we going to rehash the platform sharing benefits like we did in defending Lincoln for the past decade? D6 was developed with a full range of products in mind, but then Ford dropped all sedans so it no longer has the same volume benefits to offset it's greater cost. I'm not complaining because I'm so happy to see Ford/Lincoln on this side of that equation for once. 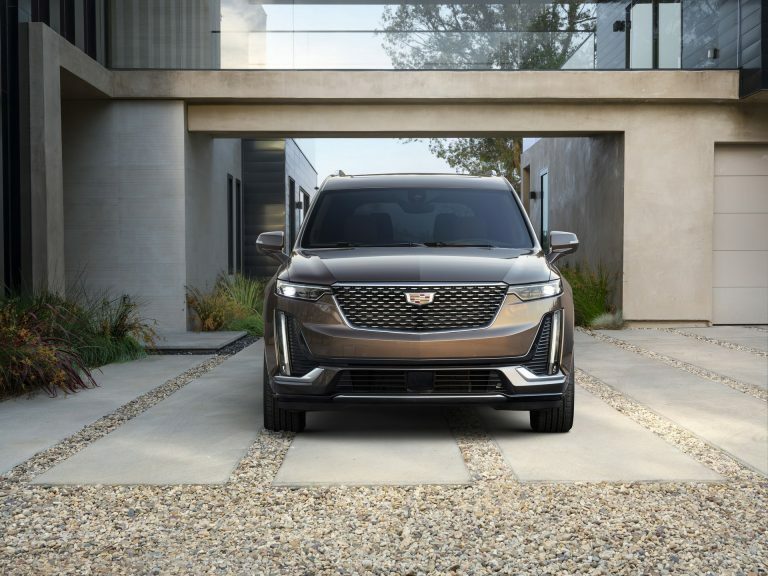 But if we're being honest it's going to be a **** of alot easier for Cadillac to make a profit on the XT6 than it will be for the Lincoln on the Aviator. Rumor has it that that is all that matters. Last edited by SP1966; 01-13-2019 at 02:08 PM. I mean it screams GM and imho doesn't look all that "lux" or "premium" but I think the front end is quite handsome and the vehicle is overall sharp. Not gonna spend my money on it but it's certainly not ugly. This Cadillac will compete well with the new..... Explorer! The Aviator is far superior than this XT6. The exterior design , the interior and the power plants. 400 hp vs 365 of the Cadillac! Nice try, Cadillac, but you finished 2 step behind Lincoln. IMO, the XT6 is a good effort by GM. I don't think it rivals the Aviator in style or substance but I applaud Cadillac for its restraint in its exterior design. I don't think that they "phoned in" this design. What would be said here if they came out with Lexus or Infiniti-style excess? They used what was given them (FWD) so inherently XT6 is dynamically inferior to the Aviator. Most Americans won't know or care about that so it's back to style and substance. Aviator wins hands down. Unfortunately, Ford had let Lincoln's cachet fall so low that this weaker, less capable vehicle has a good chance to beat Aviator in the sales race. Since it's all about product, however, Lincoln is finally putting up a good fight and may yet rise to pre-eminence based on product superiority. SP1966 and BrianAAA like this.